They're not lying with the title of this one – as producer Mickie Most was one of the true studio geniuses on the UK scene of the 60s – as you'll hear here in a fantastic collection of some of his best work – packaged with a beautiful 72 page booklet of notes that will tell you everything you'll need to know about the man himself! But even without the big booklet, the music here speaks volumes on its own – as Mickie's genius runs from some of the key groups of the Brit Invasion years, to that fantastic late 60s moment when the English scene was getting very cool and expressive – to key 70s points that include a bit of early glam, hard rock, and other styles too! 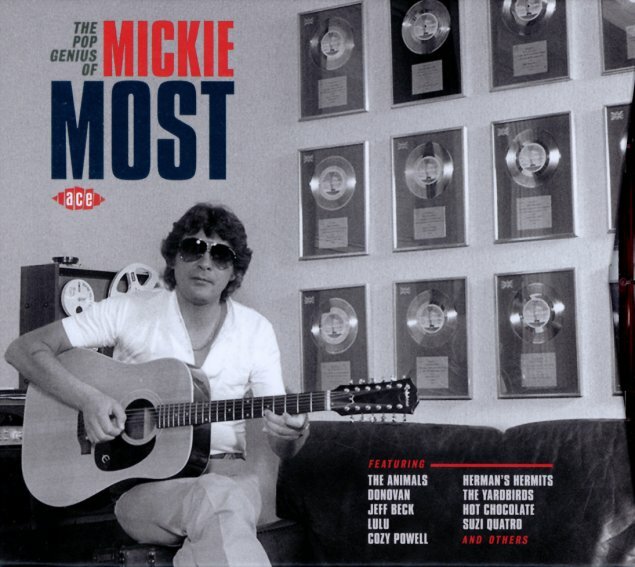 You've probably heard a good number of these tracks over the years, but never realized they all had Mickie's hands on them – and they're packaged together here with some great surprises along the way – titles that include "Gin House" by Paul Williams & The Big Roll Band, "Little Games" by The Yardbirds, "Motor Bikin" by Chris Spedding, "House Of The Rising Sun" by The Animals, "Hi Ho Silver Lining" by Jeff Beck, "Journey" by Duncan Browne, "Brother Louie" by Hot Chocolate, "Sunshine Superman" by Donovan, "I Love Rock N Roll" by Arrows, "Living Next Door To Alice" by New World, "The Boat That I Row" by Lulu, "Walking" by CCS, "Dance With The Devil" by Cozy Powell, "No Milk Today" by Herman's Hermits, "Flight 2" by Angelo & Eighteen, "Some Girls" by Racey, "Bread & Butter" by Barry St John, "Days Of My Life" by The Seekers, and "48 Crash" by Suzi Quatro. © 1996-2019, Dusty Groove, Inc.